Well, it's more like 6.6 degrees. 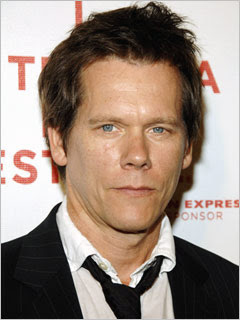 Those familiar with the Kevin Bacon game, six degrees of Kevin Bacon, know the theory: Kevin Bacon has been in so many movies that every single actor is only 6 degrees (relationships/contacts) away from him. I suggest that you try it! Plan on being there a while until you find someone who is 7+ degrees away. This Washington Post article, talks about a study done where "records of 30 billion electronic conversations among 180 million people from around the world, researchers have concluded that any two people on average are distanced by just 6.6 degrees of separation, meaning that they could be linked by a string of seven or fewer acquaintances." Pretty cool, I say.... errr type.